This wall-mounted lamp is part of the luminaire series designed by Philippe Starck. With a shape that brings to mind an overturned goblet, Romeo Babe Soft W enhances the living space with its timeless and delicate design. It is composed of an internal lampshade made of acid-etched pressed borosilicate glass internal diffuser with a PlissÂŽ cloth external shade. 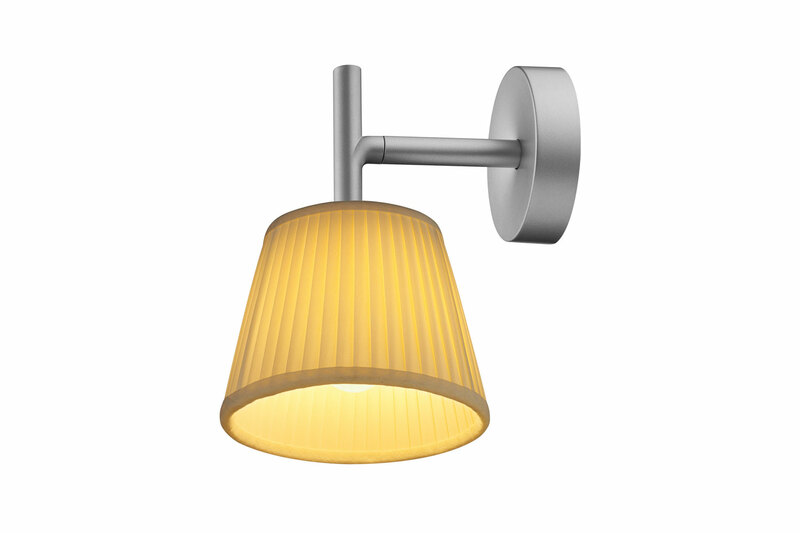 Wall fitting in gray painted, injection-molded polycarbonate.